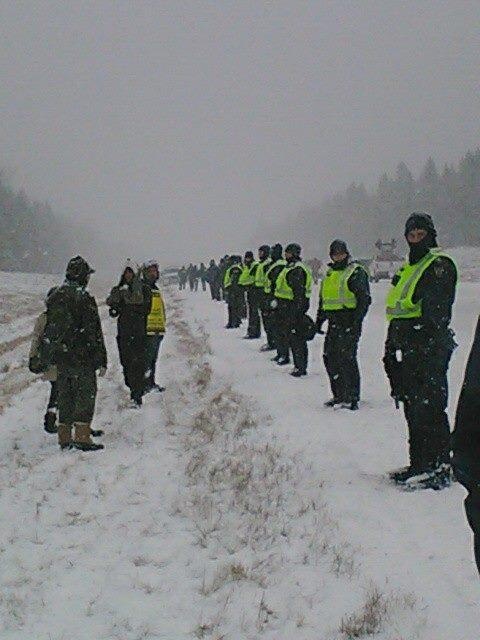 RCMP tactical troop members line Highway 11 in New Brunswick to protect SWN vehicles, Dec 1, 2013. During a six-month period more than 40 protesters were arrested. Clair said she raised money to pay for her lawyer fees. 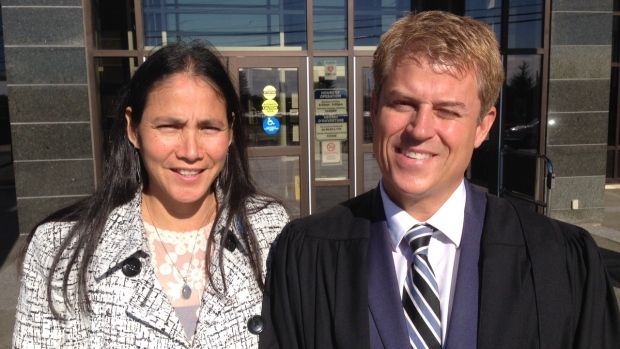 With the charges dropped, Clair said she plans on giving $1,016 to the Unistot’en First Nation in British Columbia. Posted on September 21, 2015, in Oil & Gas, State Security Forces and tagged Annie Clair, anti-fracking New Brunswick, Elispogtog First Nation, Mi’kmaq, RCMP, SWN Resources Canada. Bookmark the permalink. Leave a comment.